We take a look at the best cookbooks of 2017, which also make fantastic (and last minute) christmas gifts! Nigella is back and her latest contribution sees recipes perfect for friends and family. At My Table includes wonderful dishes that will inspire cooks of all ages. From Chilli Mint Lamb Cutlets to Emergency Brownies, there’s something for everyone at any time meaning this book will used in the family for years to come. Part cookbook and part memoir, Nigel Slater’s The Christmas Chronicles is winter personified. Join Nigel as he guides you through the season, preparing for Christmas and enjoying all that winter has to offer. Recipes for goose & turkey leftovers, hot smoked salmon and pink grapefruit marmalade, are presented alongside beautifully written memoir, myths & folklore about the coldest of seasons. This book will take you all the way through winter, from bonfire night to Christmas Day & New Year, all whilst surrounded by the most sumptuous food. As a nation of food lovers, we have a huge desire to try food that is actually fresh and new, and that’s exactly what Zoe Adjonyoh gives us. Ghanaian food is ‘always fun, always relaxed and always tasty’, what’s not to love? 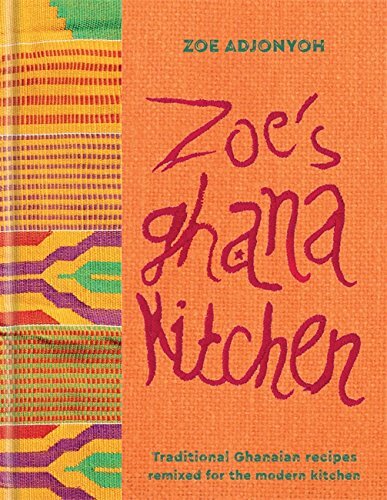 These contemporary african recipes allow anyone to get to know Ghanaian cuisine. A lot of the ingredients are easy to come by at local shops and supermarkets, as well as being super flexible, you adapt each one to suit you, whilst still enjoying incredible flavours. This stunning book is another collection of stories, letters, photos, education and delicious recipes, all connected with honey and beekeeping. We are now more aware than ever of the devastating effect the loss of bees will have on our environment, with 80% of all pollination worldwide carried out by bees. This charming book will give you advice on how to keep pollinators well-fed, as well as yourself! From the author of Never Trust a Skinny Italian Chef comes the latest cookbook Bread is Gold, the first book to look holistically at the subject of food waste. There are over 150 recipes of 45 of the world’s top chefs, including Daniel Humm, Joan Roca and Virgilio Martínez, all of which are made with everyday ingredients and create delicious and inspiring dishes. Historically, Syria has always been an Aladdin’s cave of ingredients and spices, with food being a huge source of inspiration. Food has allowed Syria to become united, and in the midst of Syria’s darkest troubles, Syrian families across the world are looking for ingredients to create the taste of home. These recipes in this book have been collated over months and months from Syrian women by Dina & Itab who are both friends and cooks. This book is a celebration of one of the greatest food cultures and the significance of this to individuals, families and the nation of Syria. Japanese cooking is intimidating for most people, but this cookbook shows you not to be afraid. Using many ingredients found in your local supermarket, Japanese food is made easy. But don’t be fooled, there is no cheating here, each authentic and accessible dish is done properly, the Japanese way. 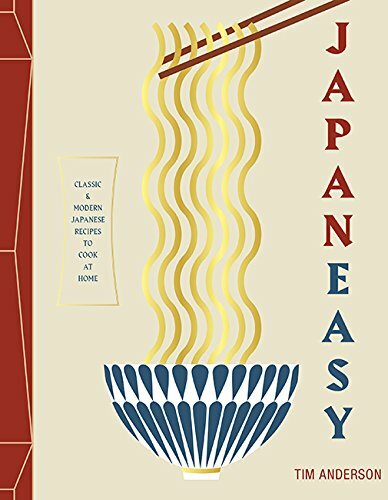 There are only 7 essential ingredients for the recipes: soy sauce, mirin, rice vinegar, dashi, sake, miso and rice, and with each recipe rated by difficulty level, there is something for everyone in this gorgeous book.